This beautiful 18K gold emerald bracelet is fantastic new version of the traditional tennis bracelet design. 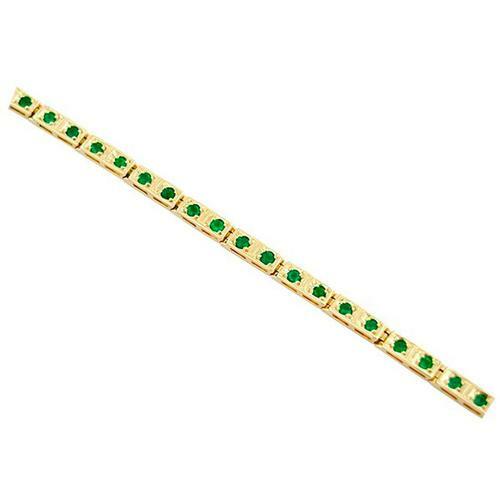 The 34 round cut emeralds have a wonderful deep and vibrant green color. They are set inside rectangular links of gold with beautiful and rich details showing a stunning mixture of green and yellow colors and textures.